In October 2011, 16 officials of the former military government of Ethiopia (1974-1991), who were convicted of genocide and crimes against humanity, among other crimes, were released after serving 20 years in prison. Their release followed a generous pardon granted by the Ethiopian president commuting the death penalty to life imprisonment. Some are still behind bars, while many others like former president Colonel Mengistu Haile-Mariam, convicted in absentia, remain at large. Earlier in the year, in the name of “forgiveness”, Ethiopian religious leaders, appointing themselves as peace brokers, implored for people to move past the history of that era and support the release of the officials. The attempt was quickly disrupted with a massive public uproar that decried the attempt as insensitive and contemptuous to the thousands of victims, survivors and the public at large. What seemed like an outburst of mass emotion brought to the spotlight an issue that rarely makes it to the official public discourse in Ethiopia: the legacy of the massive human rights abuses committed by the military regime. For twenty years, the long and protracted trials have only received marginal attention, leaving the impression that the violent chapter of that era is a thing of the past. With rumors of the eventual release of the former Ministers, victim and survivors associations pleaded with the government and religious officials to have their voices heard. Mainstream and social media outlets were swamped with debates on both sides of the spectrum, supporting and challenging the possible release of the officials. Many asked for the officials to publicly apologize for the crimes they committed, for admission of guilt and an expression of contrition as a condition for their release. Others supported a “forgive and forget” approach. Despite the controversy and much to the consternation of those opposing the release, the officials were freed in a process that cleverly combined law, politics and a total disregard of public opinion. The public controversy that ensued was a testament to the collective pain and trauma that the nation had endured and perhaps continues to endure to this day. It was in a sense a rude awakening and painful reminder of the violent history and the division that continues to define the narrative of this nation. It all began in September 1974, when one of the world’s oldest monarchies came to an abrupt end. The internationally celebrated Emperor Haile Selassie was overthrown by a military coup d’etat. A military junta assumed political power and declared Ethiopia under the control of Provisional Military government — the Derg. Within months, the Derg launched a campaign of mass execution that began with a massacre of 60 senior government officials of the Emperor. By 1976, Mengistu Haile-Mariam, leader of the Derg, unleashed a reign of terror officially named the “Red Terror” and systematically eliminated all its real and imagined political opponents, through summary executions, forced disappearance and mass imprisonment. Under an iron fist, Mengistu ruled the country for 17 years until its overthrow by the rebel forces of the Ethiopian People’s Revolutionary Democratic Front (EPRDF) in May 1991. Left behind was a society scarred by the darkest period in Ethiopia’s modern history; a massive and systematic elimination of human lives, and essentially, one of the gravest human rights violations that has occurred in the history of the nation. While many of the officials were soon apprehended, Mengistu fled to Zimbabwe, where he still remains a fugitive. Opting for a domestic solution, the succeeding government, soon named the Transitional Government of Ethiopia (TGE) established the Special Prosecutors Office (SPO) primarily to investigate and prosecute the human rights violations of the former regime. It went on to file charges against 5,000 alleged leaders and perpetrators of the atrocities. In a trial that lasted for almost two decades, thousands, including former ministers and a head of state, were charged and eventually convicted of genocide, crimes against humanity and war crimes. While there are several and multi-layered criticisms of the judicial process, from “justice delayed” to “justice denied” and “victor’s justice”, the trials were exemplary in attempting to deal with mass atrocities of past regimes and to ensure justice and accountability. But the prosecution and conviction of the officials was a far cry from the society’s quest for truth, forgiveness and national reconciliation in post-Red Terror Ethiopia. The singularly state-led approach to justice, through the prosecution and conviction of perpetrators, left victims alienated and disenfranchised from the societal healing that was needed following 17 years of brutal dictatorship. Prosecutions on their own rarely provide victims and a suffering society a complete approach to justice for past atrocities. Relying solely on formal legal action failed to fully address victims’ needs and exposed serious limitations in the legitimacy of the judicial process. The atrocities of the Derg, meticulously documented by the regime itself, were uncovered and used by the SPO for purposes of the trials. Research and analysis of the political, social and historical underpinnings of the revolution were made, albeit inadequately, by social and political historians. But little is known about the perpetrators and the extent of individual criminal responsibility. Even less attention was given to the construction of memory, the establishment of truth, forgiveness and national reconciliation. A plethora of evidence, unearthed and accumulated by the SPO was only used for the consumption of the prosecutors. The mandate of the SPO, beyond the prosecution and conviction of the alleged criminals, was also “to educate the people of Ethiopia and make them aware of the offences in order to prevent the recurrence of such a system of government.” Perhaps overwhelmed by the enormous task of prosecuting thousands of individuals, the mandate of the office expired before it even attempted to carry out any form of public education. Buried with the office were millions of paper documents, audio and video footages and witness accounts of the crimes and cruelties of the military government. Once again, the gates to the construction and preservation of truth and the collective memory were closed. Several victim associations and civic society organizations established after the fall of the Derg only served to maintain the friendships of their members. Challenges of capacity and finance, division, inter-committee conflicts and personal rifts barred these groups from playing any meaningful role in the construction of truth and memory of that era. And the sole edifice paying tribute to the victims of that regime, the Red Terror Martyr’s Memorial Museum, itself embroiled in scandals of financial embezzlement and corruption, was a failed exercise at memorialization. The reconstruction of truth, the process of uncovering individual criminal responsibility, community participation, society healing and preservation of a national memory that was seen in post-apartheid South Africa or post-genocide Rwanda was missing in Ethiopia. The fierce debate and public controversy that ensued in 2011 was a testament to this vacuum – a vacuum that dialogue, truth telling and reconciliation could only have addressed. Questions of justice, memory, truth, forgiveness and reconciliation in post Red Terror Ethiopia are left lingering in the minds victims and survivors who continue to suffer from the scars of that era. The former officials may have been punished for the crimes they committed, but society was neither compensated with the truth nor given the opportunity to learn and forgive. 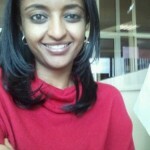 The truth, as far as the Ethiopian public is concerned, remains between the perpetrators and the prosecutors.